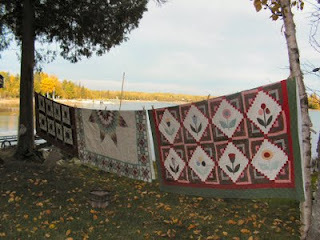 Cabin & Camp: A Controversy over Clotheslines - Really! A Controversy over Clotheslines - Really! I imagine my grandmother has been turning in her grave a lot lately, but this latest travesty must have her positively spinning. She was a true believer in hanging laundry out of doors, even on winter days when they came back inside stiff as boards and steaming from the cold. Even after her daughters decided she was too old to be out there hanging clothes, she refused to use the dryer they installed in the basement. Her one rule was that the last load had to be out on the lines before 10 AM. It was a lazy woman who was still doing her wash in what was practically the middle of the day. I have a dryer now, but for the first three years in our cabin, it was air dry or nothing. In the summer I hung laundry outside and in winter I hung them on drying racks, thereby adding needed moisture to the dry heat of a closed-up house. Hi Donna, Can you believe this? I had to read more than one piece on it in order to finally get it through my head that there actually are people who want to take this on as an issue. Crazy! I guess some people just don't have enought to do! I found your post Mona from Froggi Donna's blog. I love to dry clothes outside and we live so far up in the mountains in Montana only the deer and birds see mine hanging on the line! But, when we travel south in the winter to AZ in an RV, we run into the "no clothesline" rules in RV parks. Love your blog. This is the craziest thing I have seen in a good long while. I used to hang clothes out for my mother when I was a little girl barely tall enough to reach the line. No one thought it was an eyesore then, and only snobs and those who think they are better than everyone else think they are now. I would love to be able to hang my clothes out to dry, and I just might put up a line when I get to Alabama. Welcome, Janna. I went to your website and enjoyed it thoroughly. You live in a gorgeous place! The name "Tin Teepee/Log Cabin" is really clever. Thanks for visiting. Karen, maybe we can start a whole movement toward line drying and show those snobs a thing or two! I still love seeing clothes hanging out of a line--mine or someone else's. What could possibly be so offensive?? It takes all kinds. . . When you hang clothes out in the winter wait until they are no longer stiff to bring them in. Stiffness indicates frozen water still in them. My daughter taught me this. Good advice, Linda. I seem to remember my grandma letting them warm and then rolling them up and saving them for Tuesday, which was ironing day. By the time she was ready to iron they were dampened just right. Resourceful, those women! Mona, I just found your blog and love it. Laundry/clotheslines: I currently live in the Sonoran Desert. Can you even begin to imagine people using dryers in the desert. Unfortunately, I seem to be the only person in my neighborhood who uses clotheslines. I do have a dryer here - an old one. It was here when we bought this place and it will remain here when we move back home to northwestern lower MI in a few months. I love clotheslines. I love the smell and the feel of clothes that have been dried outdoors. 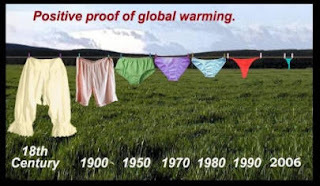 I love knowing I am not contributing any further to global warming by not using a dryer. I love the look of clothes flapping in the breeze. I had to fight for the "right" to not use a dryer out here. ????????????? :( Finally, when it became "permissable" for me to use my clotheslines (I used my clotheslines all the while I was waiting for "permission") the statement made was, "well, as long as you hide the lines behind the garage so no one else has to see them." Hi Lindy, I lived in the Mojave Desert when my first baby was born and when my Mom came out to visit she was good enough to do the laundry for me. She always told the story about hanging diapers out on the line and by the time she got to the end the ones at the beginning were already dry! We haven't had much rain lately so I've been able to hang out every wash load. I have enough of everything so that if it's nasty outside I can wait for a nice day. That's a luxury! Seems to me some folks want to make it into a political issue. Too bad. Living more lightly on the earth is something most of us can agree on. Sadly driving a prius or line drying your clothing gets you labeled.